The amount of plastic produced since 2010 is more than was produced during the whole last century. Packaging amounts for 40 percent of the plastic uses. Because plastics do not biodegrade easily, they fill up landfills and end up in our oceans. In the ocean the plastic eventually breaks down into small particles where they can be taken up by fish and thus can enter the human food chain. There have been reports of whales dying from eating so much plastic that it has killed them and there are now studies showing that mussels and clams can take-up small particles of plastic as well. 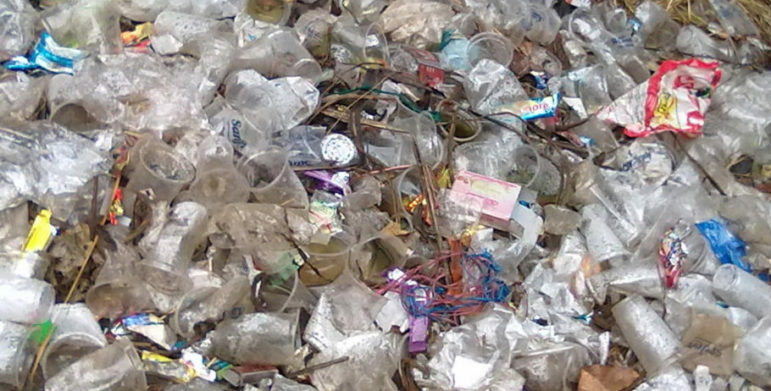 As the world becomes increasingly aware of the seriousness of the plastic waste issue, more towns in Connecticut are looking for ways to reduce people’s plastic waste. Single use plastic bags are getting the most attention, as these bags have a working-life of 15 minutes and then they enter the plastic waste stream. Many towns in Connecticut have banned them and the state has many bills that look toward banning them as well. This is a very important initiative, as it is critical to get people to use reusable grocery shopping bags and to stop using single use plastic bags. Maine’s Bottle Bill is far more current and could be used as an example for Connecticut. Maine has a 5 cents redemption fee for all soda and non-carbonated drinks in the state. This means that Maine has included juices, ice teas plus sport drinks. Maine’s Bottle Bill is very inclusive and can serve as an example as an important way to get plastics out of the waste stream. Placing a monetary fee on beverage containers means that most of them will be returned and redeemed for money rather than so many of them entering the waste stream. As recycling costs continue to rise for towns and states, the bottle bill redemption programs will begin to look more and more attractive to towns, cities and states. Nancy Alderman is President of Environment and Human Health, Inc.